Did I take an easy route out? Well yes! But then have I ever posted the masala chai ? No !! Is this recipe same as Indian masala chai? Not really!!! 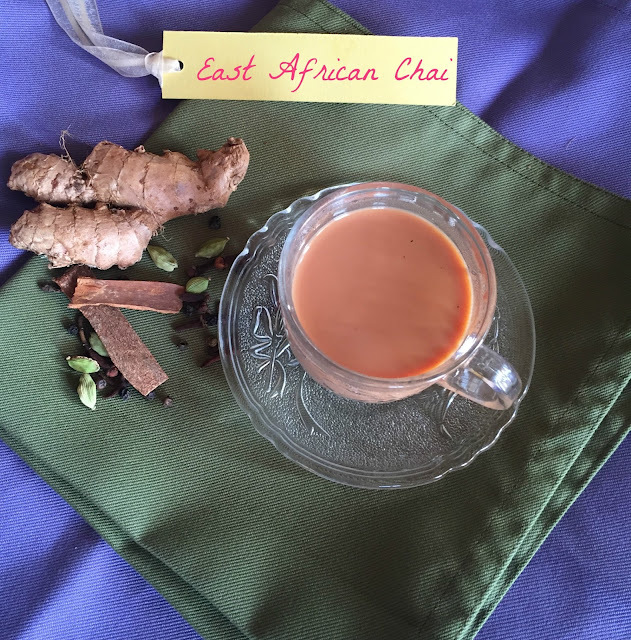 Well, across africa tea is a very popular beverage...but from what I read about Kenya....they love their tea with plenty of spices...this recipe is popular across all the countries in East Africa and apparently called as east african chai. So here is it to my favorite companion through nights and day, helping me keep up my energy levels and brain functions in place..Chai! 2) Strain and serve hot.. Pretty similar to Indian tea, this version of East African chai is amazing. Lovely!! Even I considered taking an easy way out with one of the tough letters. The difficult part was I don't drink tea. I later a found a recipe for that tough letter and didn't have to make chai. I imagine teh flavors of all those spies in chai but pepper? That is an interesting ingredient for chai. That is one flavorful blend of chai masala. 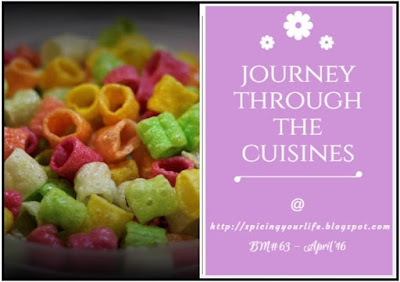 Coincidentally I happen to use the same exact spices when I prepare Chai masala at home. That is a very flavorful and delicious sounding chai. Cloves and cinnamon in chai.. wow will sure try it. This chai almost looks and sounds like our masala chai na.Lovely presentation as usual in this series. East African chai rocks, prefect drink to enjoy while the weather is chilled. Sounds like a flavorful tea,love those spices used.. So similar to our masala chai! That is a nice cup of Chai Pradnya. Good choice for the alphabet. I can't imagine my chai without cloves & cardamon, must try other spices too. Beautiful presentation. Loved the click!